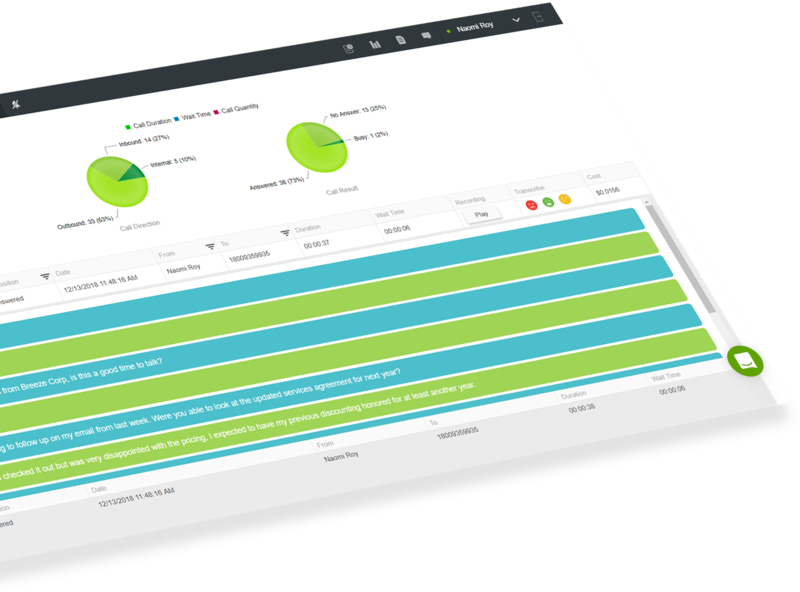 Reduce staff expenses, close more deals per agent, increase customer satisfaction, and gain a clear visibility of resource leaks. Let us show you how Callision can improve your bottom line in a 30-minute no-commitment conversation with our experts. Why do you need Callision? One of the biggest challenges in operating a contact center is the matter of quality of service. Callision’s AI-powered “Magic QA” tool allows companies to focus their quality assurance resources on problematic interactions instead of listening to every single call to achieve any substantial level of accuracy. Monitor call activity and have the ability to shape it in real time. See the types of calls employees are on, monitor conference presence, keep track of queue calls on hold, and get abandoned call notifications. Yes, Callision is that cool! Dynamic CallerID automatically matches your CallerID to the region (area code, city, etc.) of the person you are trying to reach. 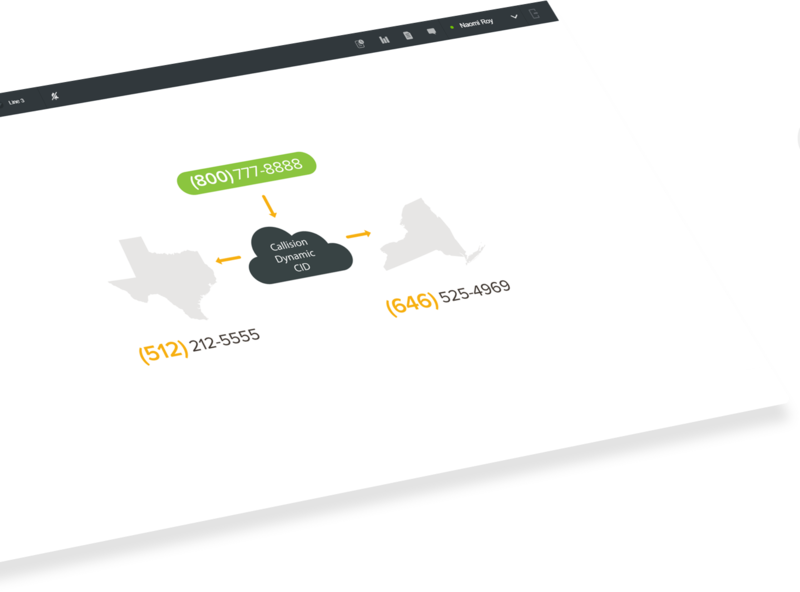 With Dynamic CID enabled, placing a call to a 646-number will set your CallerID to that same 646 prefix, thus boosting answer rates by up to 35%. Go get ‘em! Our cutting-edge big data services mean faster and more sophisticated reports at your fingertips. Query millions of calls in seconds, aggregate by users, queues, and groups, live filter, and export that to Excel. Wow! 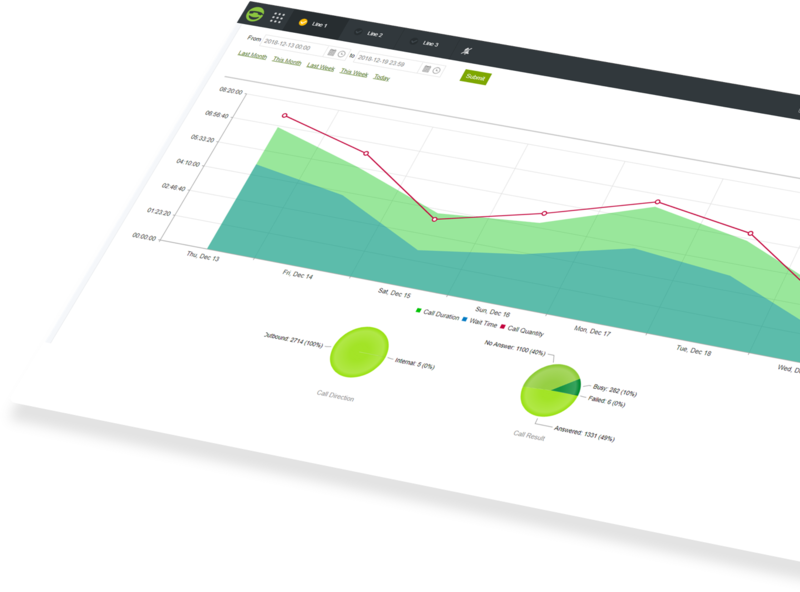 Gain mission-critical insight from Callision Intelligence and tweak your marketing campaings based on granular call data. Now you can actually see what is happenning instead of scrambling to understand what’s going on. 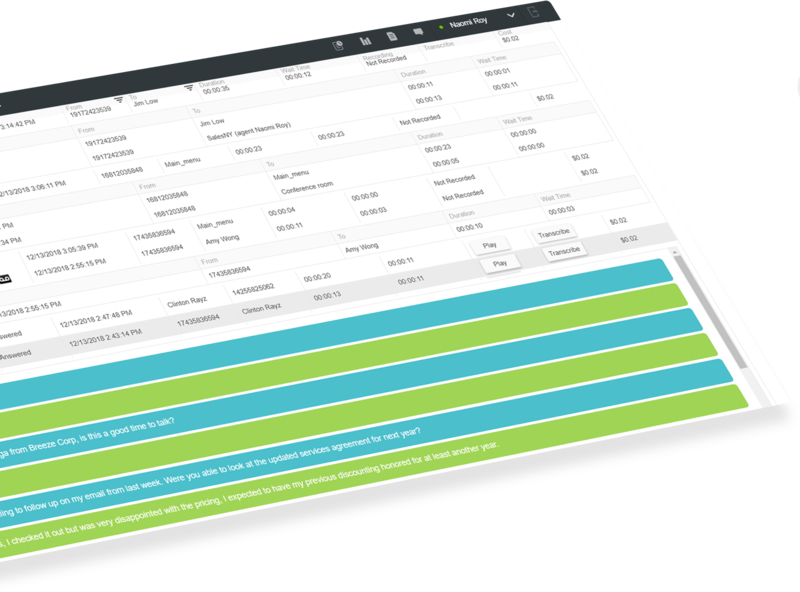 Leverage our integrations to make calls directly from your Salesforce, Zendesk, AmoCRM or another supported CRM system. Have contacts magically pull up on incoming calls, quickly change your CID, or save phone interactions and call recordings to your lead activity history automatically! 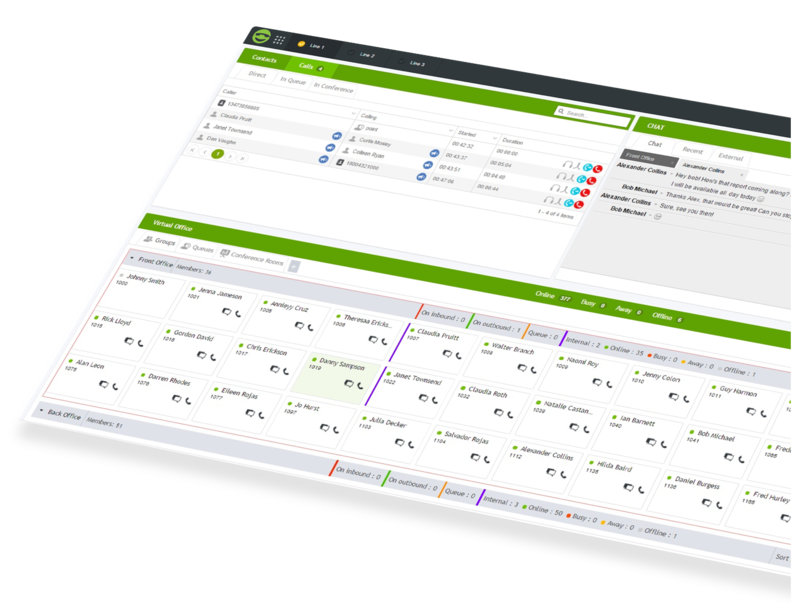 Intuitively configure voice menus, generate text-to-speech prompts, and route calls based on a schedule. Deploy temporary “Holiday” routes that get disabled on a timer and set up time zones for entities belonging to remote offices. We made configuration fun! 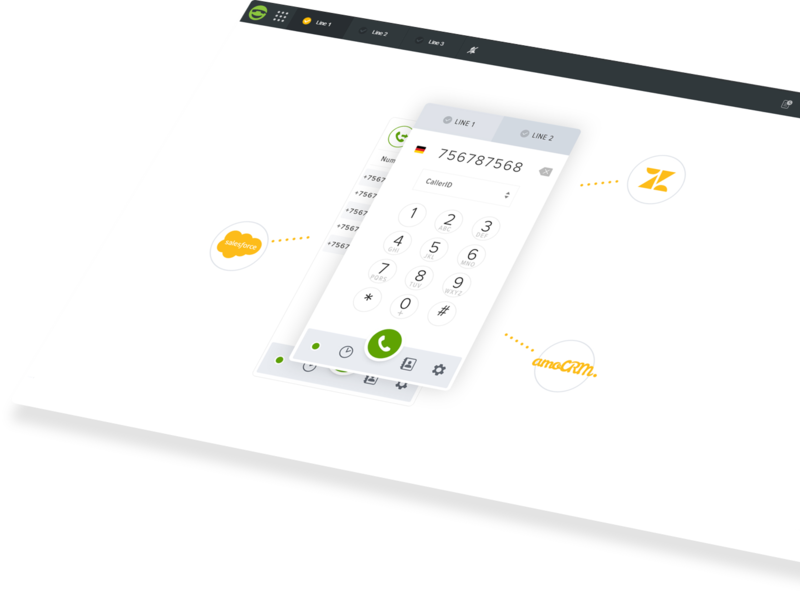 Leverage our full-featured Salesforce integration to make calls directly from SF, and have contacts magically pull up on incoming calls. And yes, you can save phone interactions to your lead activity history automatically! Are you a super-secret government organization that needs to store data locally? 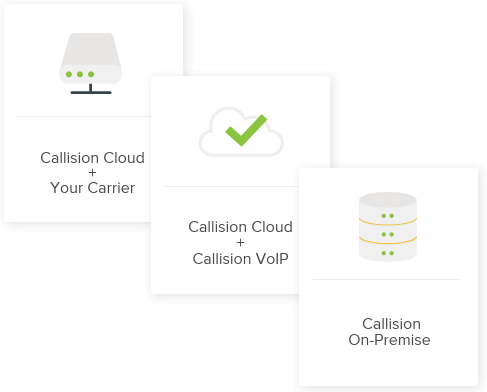 With Callision you can be in control of your telephony, and keep that Area 51 business under wraps.